We are now on iTunes and Soundcloud. Subscribe there, or listen here. July's episode of The Thread features interviews with Maya Schenwar, author, activist, and the editor-in-chief of Truthout, as well as the second part of our interview with Kinetik Justice, a leader of the Free Alabama Movement and the recent Alabama prison strike. ​Maya talks extensively with Matt about how to approach prison and criminal justice reforms. They discuss the long-term vision of transformation from a system of isolation, confinement, and marginalization to a new vision for justice that would include rebuilding our communities and restructuring the economy and budgets. Maya Schenwar is an author and activist who has written for multiple publications including the New York Times, The Guardian, and is the editor in chief for Truthout. In addition to the articles that she has written, Maya wrote Locked Down, Locked Out: Why Prison Doesn’t Work and How We Can Do Better and edited Who Do You Serve, Who Do You Protect? : Police Violence and Resistance in the United States. Maya’s writing focuses on the prison industrial complex, law enforcement reform, US defense policy, and budget policy in the United States. To keep up to date with Maya and her writing you can go to truth-out.org or find her on Twitter @mayaschenwar. Kinetik Justice is currently incarcerated at Holman Correctional Facility, and because of his involvement with the prison strike, is being held in solitary confinement. Kinetik and Matt talk about the proposed reforms to the Alabama state prisons, the same that Maya discusses, that would have cost $800 million and vastly expanded the prison system. The prison workers went on strike in part to kill this bill, which they did on day 3 of the strike. Kinetik also shares how he became political after going to prison, his extensive legal education on the inside, and mentors and moments that influenced his political perspective. For more information about Kinetik Justice and the Free Alabama Movement, check out their homepage. You can also read their Freedom Bill that Kinetik mentioned in his previous interview. You can also see Kinetik in the news. Theme music from Die Jim Crow EP, available at diejimcrow.com. We'll keep posting relevant links to our social media, so check out our Facebook or follow us on Twitter @DefeatMassInc. 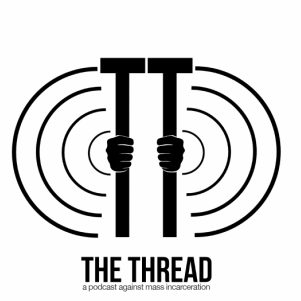 June's episode of The Thread features interviews with Kinetik Justice, the leader of the Free Alabama Movement and the recent Alabama prison strike, and Cheri Honkala, the founder of the Poor People's Economic Human Rights Campaign and former Vice Presidential candidate. Kinetik Justice is currently incarcerated at Holman Correctional Facility, and because of his involvement with the prison strike, is being held in solitary confinement. Kinetik gives an incredibly detailed look at how they went about organizing the prison strike, the networks created within the State prison system, and the reasons for their strike. They also talk about the predecessors to the strike and what led to the current organizing. For more information about Kinetik Justice and the Free Alabama Movement, check out their homepage. You can also read their Freedom Bill that Kinetik mentions in his interview. You can also see Kinetik in the news. Cheri Honkala continues to fight for the rights of people living in poverty across the nation. You can see more of the work she does on the Poor People's Economic Human Rights Campaign homepage. Cheri talks with Matt about the history of her involvement with anti-poverty work, her methods and model of organizing, how money and fundraising influences grassroots organizations, and how to use electoral politics alongside movement work. Cheri has been on Front Line USA's danger list for her work as a human rights activist. You can read about Front Line's work with Cheri and other human rights defenders, click here. Cheri and her running mate in the 2012 election, Jill Stein, are currently suing the Commission on Presidential Debates. If you want to read more about their arrest, click here. If you want to read more about her lawsuit, click here. ​Never seen/screened Broken On All Sides?